What’s the only time you should go near a tanning bed? When it’s unplugged and turned off! Ha ha ha. A few days ago, I asked if you guys wanted to see HOW this article on Erythema vs. Sunburning–an article written by a major supplier of tanning beds, manipulated science in an attempt to show that tanning beds do no harm, and may even be beneficial. While the overall response was rather one-sided, I figured it’d still be a learning experience for everyone in one way or another. 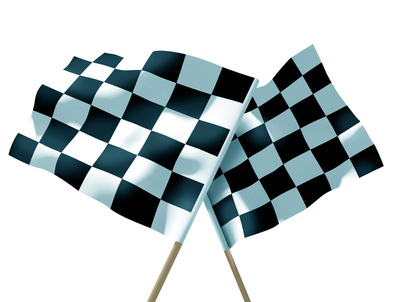 Plus, you guys could view this as a test! Because many of you are almost as well-versed as I am when it comes to sun protection, consider first reading each section of the original article that’s presented below. But before proceeding to my thoughts, try and point out the fallacies in the author’s (Donald L. Smith’s) arguments. Then, compare your analysis to mine. It’ll be fun! ***I will simply copy and paste the original article, which will be italicized, and respond to each section accordingly. Erythema is a non-specific term used to define the redness of the skin produced by a congestion of the capillaries that can result from a variety of causes. Erythema can be caused in the skin by, among other things, friction, irritation and exposure to ultraviolet, visible and infrared (heat-producing) radiation. Sunburning is defined as an injury to the skin with erythema, tenderness and sometimes painful blistering, following excessive overexposure to ultraviolet radiation. From these definitions it can be seen that while erythema is not synonymous with sunburning, one of the characteristics of a true sunburn is erythema. Therefore, the term “UVR-Induced Erythema (Sunburn),” which is defined as the redness of the skin produced by a congestion of the capillaries resulting from overexposure to ultraviolet radiation, should be universally used in order to be precise. Overexposure is defined as a dose of ultraviolet radiation (UVR) sufficient to cause a sunburn and the level or dose of UVR sufficient to cause sunburning (overexposure) universally has been deemed to be 1 MED or more. MED is defined as “minimal erythemal dose” and you can see that this term is also imprecise. It should be ME(sb)D or “Minimal Erythemal (sunburning) Dose in order to be specific and precise. While nothing is actually incorrect, the purpose of this introduction is to appear knowledgeable and scientifically accurate; it increases the reader’s susceptibility to the subsequent and incorrect information. Understanding the difference between erythema and sunburning will allow you to better explain these somewhat contradictory terms to your clients. For instance, we all know that sunburning should be avoided at all costs but we sell products–namely tingling lotions–that, because they irritate the skin, cause erythema. You can use this information to help sell tingling lotions by explaining that the “redness” of the skin that characterizes the erythema produced by tingling lotions is caused by the increased microcirculation of the blood through the skin which, theoretically, brings melanin closer to the surface of the skin where it can more easily be oxidized. As you can see, the blood vessels are no where near the epidermis. Yes, “tingly” lotions that contain irritants can provoke erythema. However, that has nothing to do with the “theoretical” ability of these lotions to bring melanin closer to the skin. It’s not theoretical, it’s impossible. The blood vessels in the skin are located at the bottom of the dermis. Melanin is found throughout the epidermis. 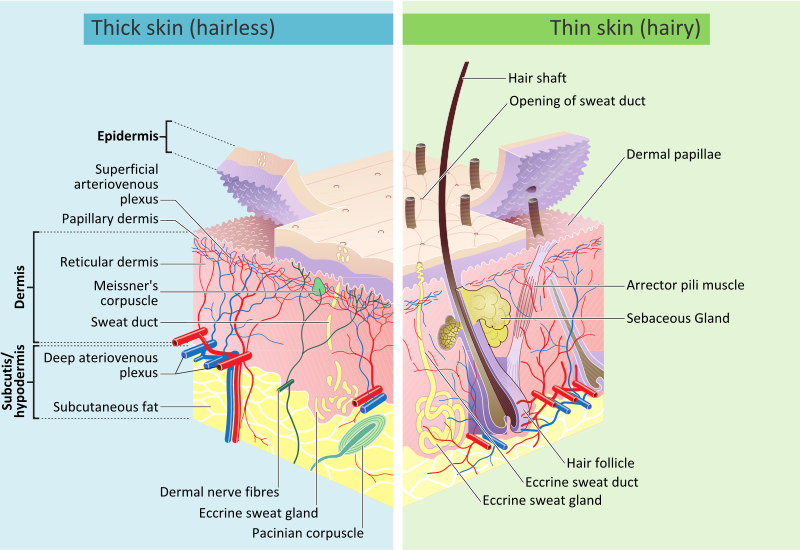 Even the cells that produce melanin (melanocytes), are still only present at the bottom of the epidermis. Therefore, the two (blood vessels and melanocytes/melanin) can never come into contact with each other. Again, the author uses a well-known fact–that irritating lotions can induce erythema, which should pretty much be common sense, to try and suggest that because their tanning beds and lotions do not provoke true UV-induced erythema, it’s okay to use them. It was reported (in 1988) that visible light (400-700 nm) can cause erythema, immediate pigment darkening (IPD) and persistent (delayed) pigment darkening. The question of importance was whether or not this was erythema (redness) or sunburning. Since the erythema disappeared within 24 hours, it was transient in nature and, therefore, not a true sunburn. There are two ways that are used clinically to determine the difference between erythema and sunburning. The first is an invasive procedure whereby a skin biopsy is examined for the presence of sunburn cells. The second is to grade the skin 24 hours after exposure or overexposure to UVR according to the following scale. GradeDescription 0. Absent. No redness and not tender to the touch. 1. Barely perceptible redness and not tender to the touch. 2. Light pink color and tender to the touch. 3. Dark pink color and painful to the touch. 4. Dark pink color, painful to the touch and blistering. 5. Dark pink color, painful, blistering and requiring medical care. As you can see, the transient erythema caused by visible light would be classified after 24 hours as a Grade 0. The erythema accompanying a true sunburn would persist after 24 hours and would be classified from Grade 1 to Grade 5. In addition to setting the record straight regarding whether or not the visible portion of the electromagnetic spectrum can cause a sunburn (it can’t), this article shows that these wavelengths can, and do, play a role in the creation of a tan. Since sunbeds have very low levels of visible irradiance, this study helps to explain why there is a slight difference between the facultative pigmentation (a “tan”) produced outdoors as compared to the facultative pigmentation produced indoors by sunlamps. Again, while nothing is specifically incorrect, the author tries to establish that tanning beds are less harmful than natural sunlight because the former contains very little visible light (and infrared light). While its debatable whether one is a lesser evil compared to the other, they’re both still harmful. Furthermore, he includes the “grading rubric” to try and further establish his legitimacy. The most common form of transient erythema (redness) that will be observed by tanning salon owners is the “heat flux” that sometimes occurs after a tanning session. This form of “redness” signifies that the blood flow to the surface vessels of the skin has increased in order to aid in cooling the skin and thereby helping to regulate body temperature. The author makes a distinction between the erythema caused by increased blood flow and that from sunburn cells in an attempt to show that the “transient” erythema you see is not a sign of skin damage. Unfortunately, while the types of erythema are indeed induced by separate mechanisms of action, they are still directly tied to each other. They do not exist individually in the presence of sunlight, which means that the skin is being damaged regardless. Anti-tanning forces now are advocating using the production of CPDs (cyclobutane pyrimidine dimers) as a surrogate monitor of UVR-induced damage. We can, therefore, look to the measurement of CPDs to replace the time consuming and invasive measurement of sunburn cells. Why is this important? Because it was found in a study published in the British Journal of Dermatology that the UVB wavelengths (280-320 nm) are responsible for 75 percent of the CPDs produced. Therefore, look for the anti-tanning faction to use this information to try to coerce the Food and Drug Administration (FDA) to adopt the same parameters (the CIE Erythemal Action Spectrum) regarding irradiance that are used in Europe. 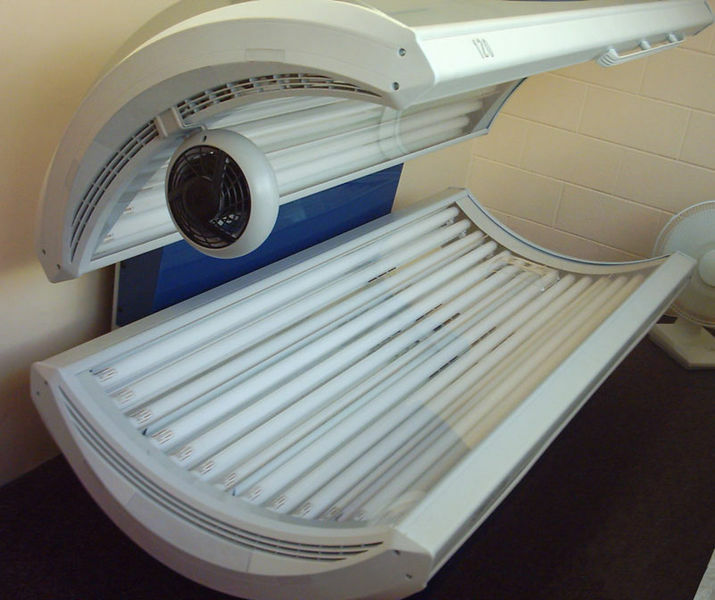 If adopted, U.S. tanning salons would be forced to use low percentage UVB lamps and return to the 30-minute sessions (or longer) that are common in Europe. What isn’t being said? The proponents of CPDs as a surrogate for skin damage neglect to tell you that the normal homeostasis process of the body causes the CPDs to quickly be repaired. Moreover, they don’t tell you that tanned skin is much less likely to produce CPDs than is untanned skin when exposed to a given dose of UVR. A tan generally gives you an additional SPF protection of between 2-4. I’ll be honest, this section really annoys me. The authors attempts to appear knowledgeable, authoritative, and dismissive of “anti-tanning forces” by mentioning that we (the anti-tanning forces) fail to mention that cyclobutane pyrimidine dimers (CPDs) are quickly repaired by the skin. I have never covered up the fact that the skin indeed DOES have its own enzymatic and non-enzymatic protective and reparative system. However, what HE fails to mention is that the efficiency and % of repair is definitely not 100%. If that were the case, we’d be able to stay in the sun forever without getting burned… which is clearly NOT the case. 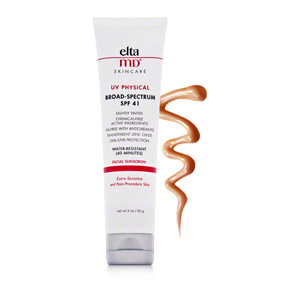 On the other hand, that amount of protection pales in comparison to that when using a good sunscreen, like the EltaMD SPF 41. Moving on. Yes, it’s true that tanned skin is less likely to produce CPDs than untanned skin, because the former has more melanin than the latter.. However, what he fails to mention is that the skin must first be damaged by the sun in order to become tan! The skin produces more melanin as a response to UV insult. So the amount of damage necessary to achieve a tan is way beyond the amount of damage that hits untanned skin, when using a broad-spectrum sunscreen. What’s even worse is that the SPF you get from a tan is typically anywhere between 2-4, which again, is nothing compared to the minimum of 15 that all “adequate” sunscreens actually provide. Talk about neglecting vital information! Explain to your clients that the erythema (redness) produced by tingling lotions, and the “heat flux” that sometimes occurs in a tanning bed is not a sunburn; rather, these transient conditions show that there has been increased blood flow to the skin. You also should point out that UV-induced erythema (redness) must persist for at least 24 hours in order to be considered a sunburn. The next time you read something about CPD production–or if a client asks you a question–keep in mind that the production and the repair of cyclobutane pyrimidine dimmers (and other photoproducts) is a natural, normal and ongoing process. Moreover, the increased tolerance to UVR provided by a photoprotective tan protects against the production of CPDs for subsequent exposures. His conclusion only goes to show how tanning companies twist the facts in an attempt to deceive the general population, going so far as to insinuate that skin damage ONLY occurs if the erythema lasts for longer than 24 hours, which of course is a lie. Skin damage begins to the occur the moment sunlight hits the skin. I admit that the depth and subtlety of the deception is pervasive and clever. It’s just too bad that the author is on the wrong side. So, how did you do on the “test?” Well, A+ for all of you who tried! Feel free to let me know if I missed anything down below. « How Much Exactly Is 2.0 mg/cm^2—The Amount of Sunscreen Necessary to Achieve the Labeled SPF Rating? 😀 reading this is an undoubted delight. I read the article the moment you provided the link to it and didn’t read ahead to realize you broke down the whole article. Im glad I read it once through prior to reading your response just so I could compare my thoughts to yours. My enjoyment does not stem from the author’s lame stance but rather from your brilliance! You’re indeed spectacular and I love your intellectual posts; just reading me makes me feel a bit smarter. Thanks, John!